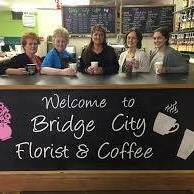 BRIDGE CITY FLORIST AND COFFEE is a professional local florist proudly serving Mobridge, SD and surrounding areas. Our friendly and knowledgeable staff is ready to assist you when you need flowers delivered locally or anywhere in the world. For your convenience, we also offer daily delivery service to local hospitals and funeral homes. Whether your wedding or party is formal or casual, we can help you plan an event that's a "blooming" success! Call us in advance at (605) 845-3495 to schedule your consultation. Browse our wonderful green plants, blooming plants and dish gardens for a gift that adds life to any room or office. One of our gift baskets of fruit and goodies would make a thoughtful and tasty choice any time of year. We also offer gifts for any age or occasion, including plush stuffed animals, balloon bouquets, candy & chocolates, silk arrangements, baby items, home décor, scented candles and more! Come by and try one of our delicious coffees or smoothies! We have the tastiest treats, all at your fingertips! We are located at 317 Main St in Mobridge, SD. 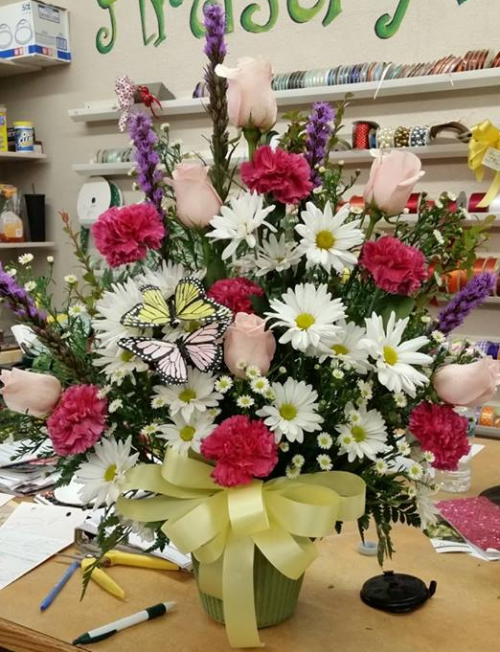 For flowers delivered fresh from your local Mobridge, SD florist - call BRIDGE CITY FLORIST AND COFFEE! Remember, you can order flowers from our website 24/7!